Bitcoin’s original mission was to allow peer-to-peer electronic cash systems globally. Because of the Bitcoin Core network’s scaling failure, the BTC coin is no longer a useful currency as fees climb and transaction times slow down. Bitcoin Cash is the version of Bitcoin in which the original properties of digital money still exist as outlined in the Bitcoin Whitepaper. 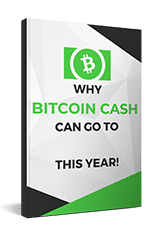 Bitcoin Cash (BCH) is an upgraded version of the Bitcoin Core software first released on August 1st, 2017. Bitcoin Cash offers an increase of the blocksize limit to 8mb which effectively allows miners on the BCH chain to process more payments per second. The results are faster, cheaper transactions and a much smoother user experience. Bitcoin Cash was created to revive the essential qualities of money intrinsic to the original Bitcoin software. Over the past almost decade, these qualities were filtered out of Bitcoin Core with progress stifled by various entities involved in Bitcoin protocol development. As a result, Bitcoin Core is currently unusable as money due to increasingly high fees per transactions and transfer times lasting hours or even days. This all stems from Bitcoin Core’s blocks being full. Blocks are groupings of new transactions added to the blockchain. In Bitcoin, transactions are processed one block at a time. Bitcoin was designed to process 6 blocks per hour, or one every ten minutes. Early in development, an artificial limit to the size of blocks was added to the Bitcoin Core code in order to prevent an attack vector where a mass number of transactions could weaken the network. At the time, processing transactions were free, so an attacker could send a huge number of transactions between his own wallets which would force everyone else on the network to download and store massive amounts of data. The block size limit was arbitrarily set at 1MB (the storage of a 1980s floppy disk). Back then, this was still thousands of times greater than the actual usage the network demanded. Although intended to merely to defend against a theoretical attack vector, the block size limit has inadvertently stifled network growth. Usage of Bitcoin grew slowly at first; it wasn’t until 2012 that the blockchain was processing 250 transactions per block, or approximately 1,500 transactions per hour. It took two more years to double this figure so that by 2014 the Bitcoin network was processing 500 transactions per block. Now, the Bitcoin Core network is at maximum capacity processing approximately 2,500 transactions per block. This artificially small blocksize led to network congestion as demand for bitcoin transactions has continued to grow much like a highway with too many cars. In order to be verified and processed, a bitcoin transaction must be included in a block so if blocks are full, your transaction must wait to be included in the next block, but the next block is likely already full because others paid a higher fee. This congestion has led to an ever increasing “fee market” in which users pay extra to move their transactions to the top of the list of pending transactions known as the mempool. As of December 21, 2017, there are more than 280,000 unconfirmed Bitcoin Core transactions. Worse still, the developers of Bitcoin Core did not increase the blocksize to scale Bitcoin to its demand. In their own words, the Bitcoin Core developers view this “fee market” and backlog of transactions as a positive characteristic of the Bitcoin Core network. This has caused many cryptocurrency enthusiasts to develop alternative cryptocurrencies as frustration with Bitcoin Core grew due to increasing fees and longer transaction times. As a result of the new competition, Bitcoin Core has gone from nearly 100% market share in the crypto space to below 50% as of late December, 2017. Hence why Bitcoin Cash was created. It is a community-activated upgrade, also known as a hard fork, of Bitcoin that increased the block size to 8MB in order to solve the scaling issues that plague Bitcoin Core today. Let’s use a relatable analogy to describe how the block size limit affects the speed and cost of transactions on the blockchain. It’s Friday night and you head out to the hottest club in town. Before this club got discovered, it was a small spot with a small, local crowd and reasonably priced (or no) cover charge.Then the club suddenly got trendy after a viral social media post but the building can only hold 2,500 people. In this analogy, the club represents a block but with limited storage capacity instead of max occupancy. Each patron represents a bitcoin transaction. In Bitcoin Core, the mempool is the lineup of people outside the club and the transaction fees are the cover charge. When the club (block) is full at 2,500 people (transactions), the bouncer (server) is forced to form a line and start charging an increased cover charges (transaction fees). Despite the wait, even more people keep coming to the club until the line of people waiting outside is approximately 270,000 people long with the average cover charge as high as $140. Although you’ve been waiting patiently for hours to get in, people who pay more than you keep jumping to the front of the line and are keeping the club full. Even worse, each patron (transaction) can only bid on their cover charge once. When you first got in line, $20 would be enough to get you in quickly, but now several thousand more people have joined the line who would pay more than you. There is nothing to do but wait until everyone paying more gets in and your turn finally comes around. Despite the untenableness of the situation and much ensuing complaint, club management has stubbornly refused to move or build a larger building, instead insisting that a full club and extra long line outside is not only good for business but that it’s utterly impossible to expand their building to accommodate more patrons. At an average cost of as much as $140 per transaction and a line of over 270,000 unconfirmed transactions, Bitcoin Core, a system that was created to explicitly be a “peer-to-peer-electronic cash system” has now become unusable for merchants. It has priced out the majority of users in developed countries, nevertheless the entirety of users in smaller, developing countries. Yes because transaction fees in both versions of Bitcoin are measured in satoshis-per-byte. Each unit of Bitcoin is divisible to 8 decimal places and the smallest unit is called a “satoshi”; the way to accurately measure Bitcoin fees is not in dollars, but satoshis. Because Bitcoin Core blocks are always full with a large line of people, currently the bouncer is charging more than 900 satoshis per byte for inclusion into a block. In December 2017, it cost more than $30 to make a single Bitcoin transaction. By comparison, Bitcoin Cash’s average fee is only 19 satoshis per byte. With Bitcoin Cash, one can set fees manually as low as 2 satoshis per byte and be included into the next block since there is plenty of room for all users. As of December 21, 2017, Bitcoin Core fees are above $30 which means that an address with less than $30 in it will be unusable given the requisite $30 in fees to even broadcast the transaction. Even an address with $100 on it will lose a whopping thirty percent of its money just to this one fee. Supporters of Bitcoin Core often say that Bitcoin Core was never meant to be a currency but a store of value, essentially “digital gold.” As a result, they embrace and even encourage high-fees and slow transaction times; the harder it is to mine real gold, the greater its value. Apart from the fact that this approach is in direct opposition to the spirit of the Bitcoin whitepaper, Bitcoin: A Peer-to-Peer Electronic Cash System, something can only be a store of value in relation to its ability to store and recall utility. If you lose more than $30 of value every time you want to use BTC, are you storing value or losing value? Bitcoin Core, as of late 2017, is more accurately classified and treated as a volatile, speculative asset that is not reliably useful as a store of value, much less a currency. Both Bitcoin Core and Bitcoin Cash are both demand-backed currencies. What gives a Bitcoin its value is a combination of utility as a currency and consumer demand. Bitcoin Core can no longer functions as a currency because of growing fees and confirmation times. However, so long as there is demand, Bitcoin Core will continue to sell on open exchanges. Bitcoin Cash is Bitcoin, it is not an altcoin nor a knock-off of Bitcoin Core. Bitcoin Cash is a hard fork of Bitcoin Core, meaning it shares the same transaction ledger and history of Bitcoin Core; it was true to the Bitcoin Core codebase until diverging on August 1st, 2017. Low transaction fees and quick confirmation times mean that both merchants and users can safely use and embrace Bitcoin Cash technology to the benefit of themselves and the global economy. The burden is now on Bitcoin Core to justify its nearly $15,000 price tag when comapred against the affordable, upgraded version that is Bitcoin Cash. Average Bitcoin Cash transactions cost pennies or even fractions of a penny while confirming in an average of 10 minutes because the mempool of pending transactions is cleared with each new block. This means that Bitcoin Cash operates similarly to…well, cash. Coinbase and its exchange GDAX recently announced full buy and sell support for Bitcoin Cash so you can create an account with them to make your first BCH purchase. You can also find a list of local buyers and sellers through the LocalBitcoinCash platform if that is important to you. Instant crypto-to-crypto exchanges such as Shapeshift and Changelly also support converting BTC to BCH. Furthermore, the Bitcoin.com Wallet will have ShapeShift integration in 2018. For Canadian citizens, nTrust is another an option. For a full list of websites to buy and sell Bitcoin Cash head over to the exchange listings on BitcoinCash.org. Some see BCH as a threat to their business and/or investment in another cryptocurrency; they oppose the existence of Bitcoin Cash and wish to undermine it as a viable alternative to Bitcoin. These people refer to Bitcoin Cash as “bcash” on social media in hopes of creating enough confusion to hinder its adoption. If your wallet or exchange uses the term “bcash” they are likely referring to Bitcoin Cash, but “bcash” is neither the proper name, nor a commonly used abbreviation of Bitcoin Cash, but rather it is a hostile attempt to confuse users. Anyone using the term “bcash” instead of the currency’s actual name, Bitcoin Cash, should be treated with suspicion. How Can I Get Involved with Bitcoin Cash? Join the discussion: Join the online conversation swirling around Bitcoin Cash on Twitter, Reddit, the Bitcoin.com forum, or start the discussion in your own community! Attend a meetup: Many major cities around the world already host Bitcoin Cash meetups, including Tokyo, Oslo, San Francisco, Seattle, Seoul, London, and Helsinki.You can start your own page on Meetup.com and reach out to The Bitcoin Cash Fund for marketing support and goodies. Help with merchant adoption: A healthy ecosystem of businesses supporting Bitcoin Cash is crucial so if you run a business, consider accepting Bitcoin Cash! Or ask your favorite local businesses about accepting it.